Command every gig, audience, genre, event and location! The multicore processor-powered Prime 4 makes your entire music collection available, transparently connecting you to your performance. 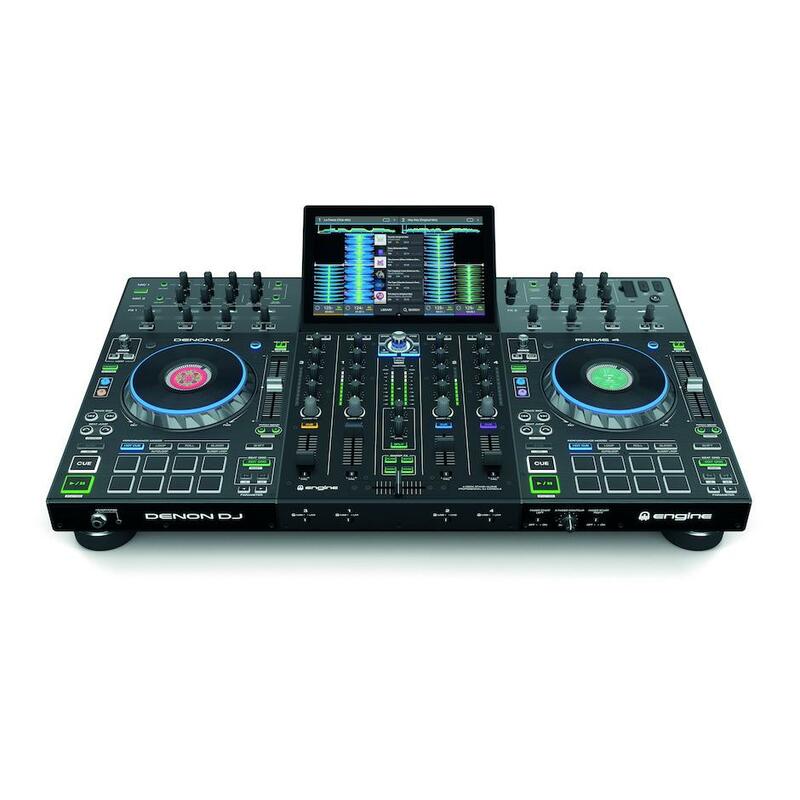 With 4-deck hardware control and advanced touchscreen workflow, you’re all set to handle any DJ set, anywhere, anytime. 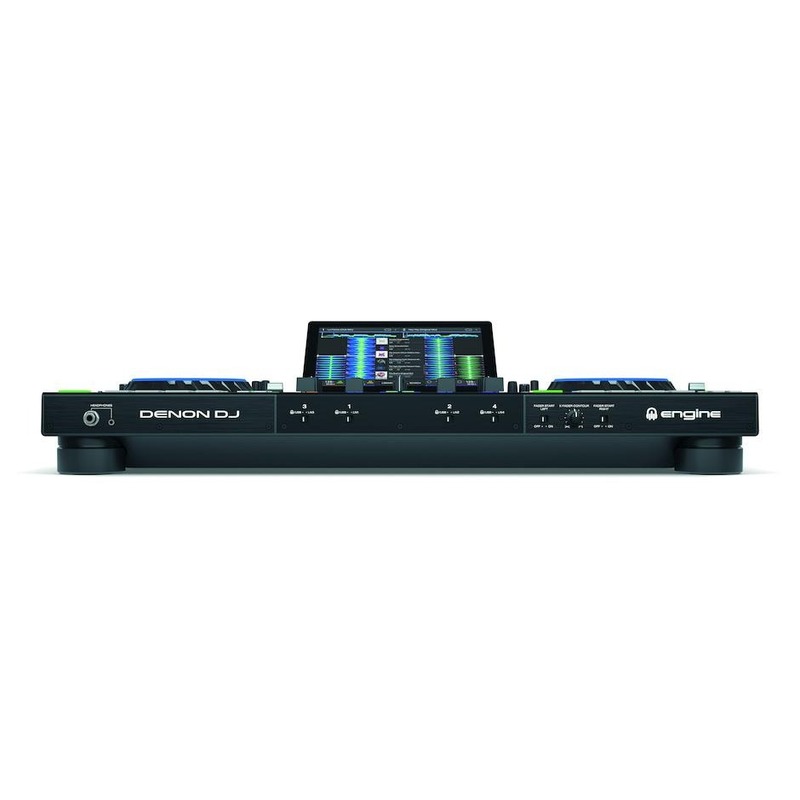 This is what the global DJ community has been waiting for: An all-in-one, fully standalone 4-deck DJ system with no need for a laptop computer – Pure, unfettered performance and playback capability! Rugged metal-chassis, built to endure the rigours of DJ life. Select tracks, view waveforms, interact with your digital music collection and view essential DJ parameters, with tactile multi-gesture control – it’s the touchscreen experience you expect and deserve. Send a dedicated, back-to back music playlist to a separate location while you command the dancefloor in the main room control the mood, volume and EQ to precisely tailor the sound for your audience. Access massive music libraries from four USB inputs, one SD and an under-panel, 2.5-inch built-in SATA drive bay. Use any one of these media sources to record your full DJ set performance! With USB Keyboard support for optimized track browsing and playback facilities for uncompressed audio formats (FLAC, ALAC, WAV), Prime 4 caters for your entire music collection with connectivity that guarantees immediate, hassle-free access to your library. Pro-club mixer with four channel line faders, each with 3-band EQ and gain to shape your mix; plus all four inputs are assignable to the switchable line/phono inputs. 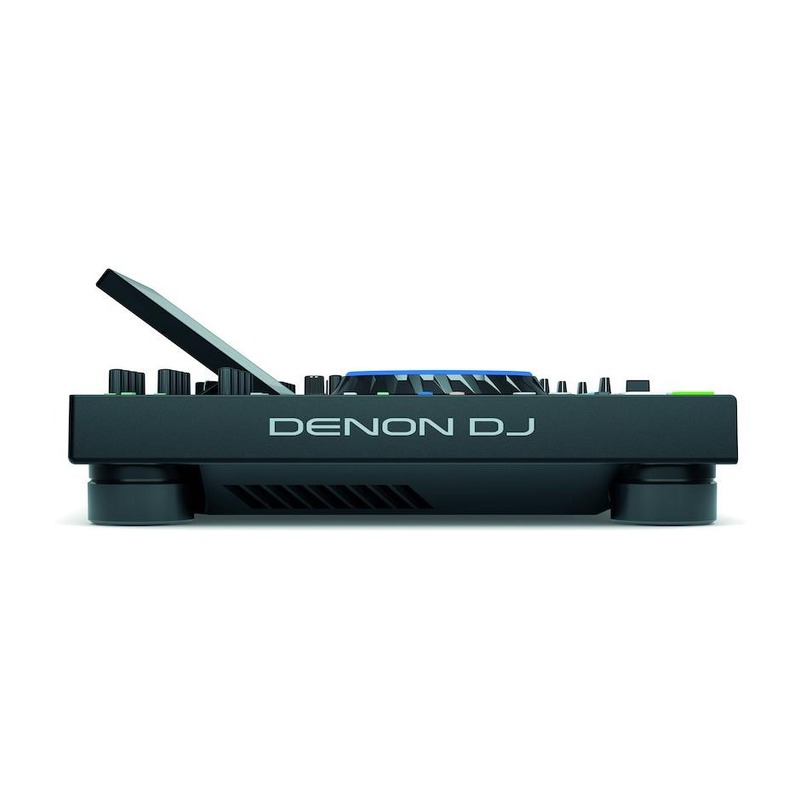 A replaceable Denon DJ crossfader completes this performance driven package. Remix whole tracks and beat juggle with super-responsive hot cue control, then split up bars and beats with quantize-locked, Rolls, Slicer and advanced Looping too! Drive two independent microphones for dual-performer audience engagement, both with dedicated EQ, volume and effect controls plus punch in on/off and talk over options for pro-mobile use. Articulate, visualize and craft your own unique sound, choosing from 13 diversely textured DJ FX, sourced directly from the festival/club X1800 Prime mixer. Engage just one single encoder for tactile sound manipulation with dynamic FX and elegant filter control. Ultra-responsive, touch capacitive jog wheels with HD central screen that relays performance, heads-up display information combined with a DJ brand logo or playing track artwork. Change up your look with customizable RGB light ring. 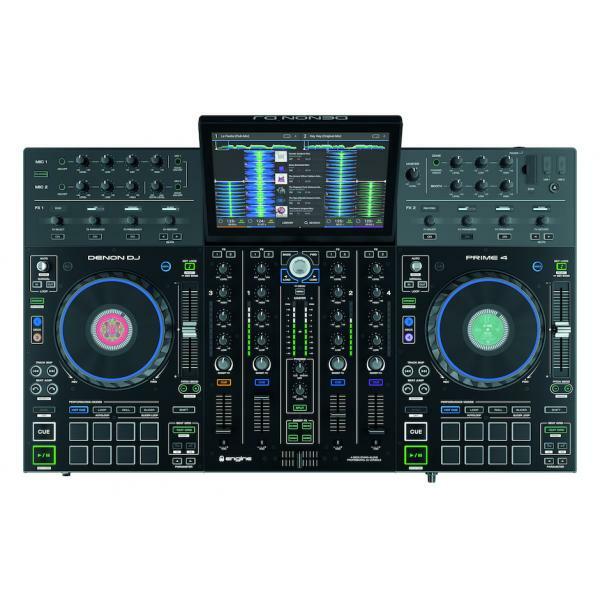 Class-leading, production-quality Time stretch algorithm allows DJs to perform pitch locked, extreme track tempo changes and match/shift harmonic musical keys live in the mix – the ultimate in standalone, ‘Open’ Format DJing flexibility. Built to Last – Built to Perform! 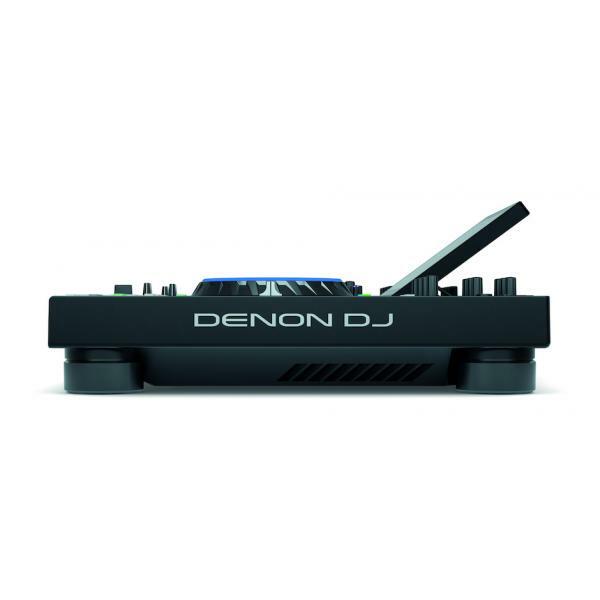 Prime 4 is built on the legacy of 25+ years of superb Denon DJ audio engineering and manufacturing excellence, with rugged metal build quality and detailed, pristine 24-bit Denon DJ audio. 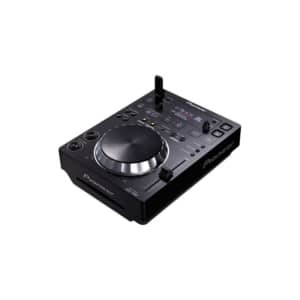 Nothing sounds, looks or performs like the Prime 4 standalone 4-channel DJ System. With no existing ‘feature-comparable’ competitor unit on the market right now, the Prime 4 is affordable DJ technology that is light years ahead of any existing product. 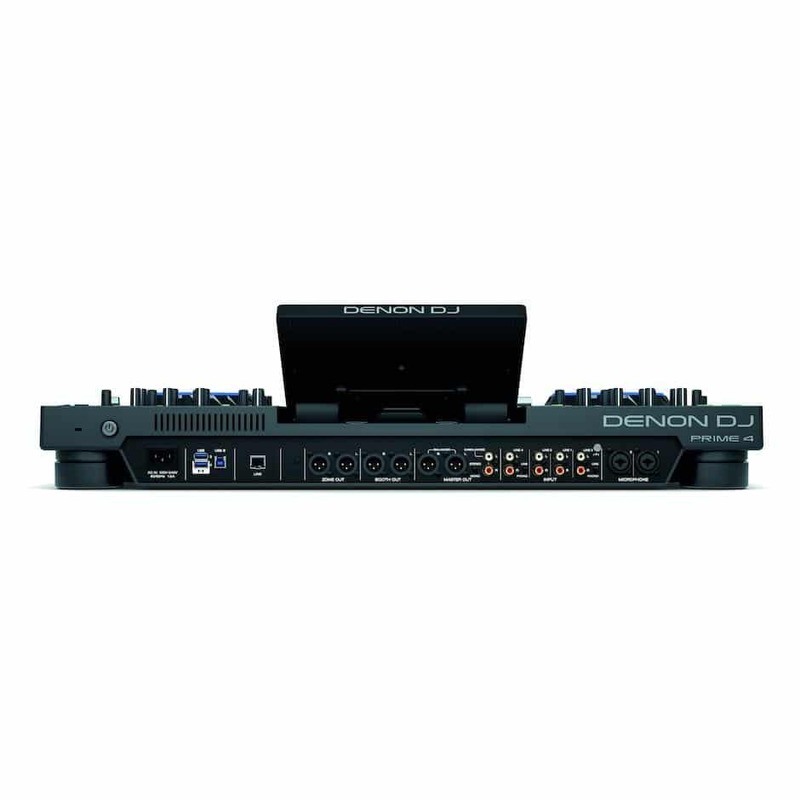 Using Prime 4’s StagelinQ connection, Mobile, Event and Club DJs now can easily create impactful, visually dynamic lighting and video scenes via Denon DJ’s partnerships with Soundswitch, Timecode and Resolume. Import your digital music collections effortlessly from iTunes, Serato DJ Pro, Native Instruments Traktor Pro and Rekordbox using both Denon DJ’s free, Engine Prime music management software and the Prime 4 it self.